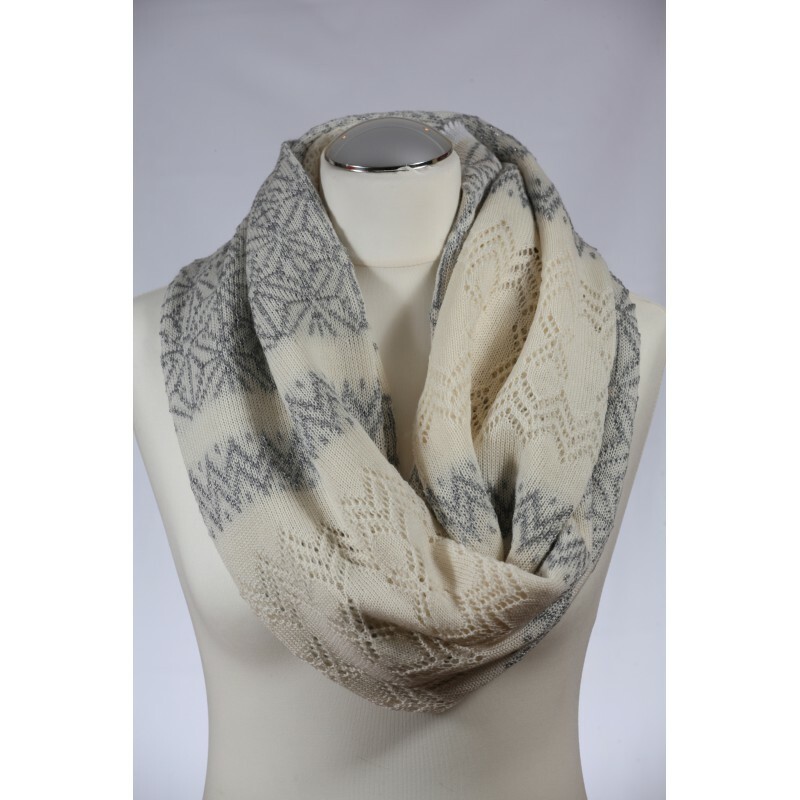 This hand knitted luxurious infinity scarf is a perfect accessory to keep your neck beautiful and the same time warm. It is made in combination of merino wool and lurex yarn. 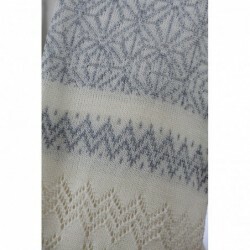 Color: natural white with silver patterns, lightly shiny of lurex yarn.